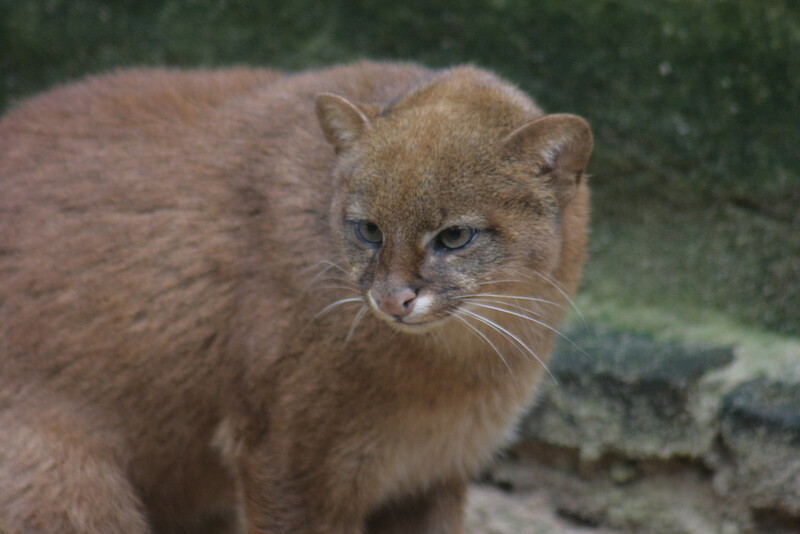 The Jaguarundi (Puma yagouaroundi) has an unusual appearance for a cat species and is sometimes known as the Weasel or Otter-cat due to the shape of its flat head.There are three different colour forms of the Jaguarundi, which may occur in the same area or even same litter – black, brownish grey, and red. Jaguarundis have a varied diet and prey on birds, reptiles and small mammals, although larger prey are not unusual. Although usually terrestrial, jaguarundis are capable of climbing trees. Unusually the species is diurnal (out during the day) and so it is one of the more commonly seen felids. 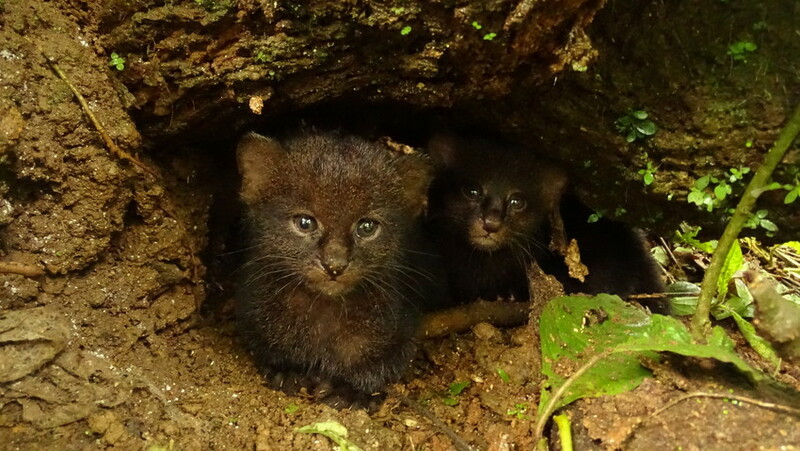 As a result of this, the jaguarundi was thought to be abundant in numbers, although it is now known that the species is not as common as it originally appeared. The Jaguarundi is found in a variety of habitats, such as dry scrub, swamp, savanna and primary forest. Their range is from the Western lowlands of Mexico all the way to Southern Brazil, Paraguay and Uruguay. Current threats include habitat loss and fragmentation, usually from agriculture. However, they sometimes get caught in traps for more commercially valuable species. Due to their tendency to prey on captive poultry they are often shot by farmers. Hunting of jaguarundis is illegal in most of its natural range, including Argentina, Brazil and Mexico.